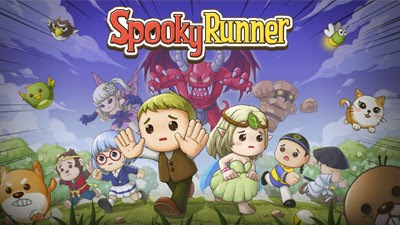 Here's some quick tips for the Android and iOS arcade mobile game - Spooky Runner, presented by NHN Entertainment Corp.. This Town is under a curse named "Devils Tag". If you are under a curse, you will turn into a monster and lose HP. The only way to get released from the curse is by tagging other players before losing all of your HP! - Entering a reference code right after the tutorial will give you 3,000 Gold. - Join the Champion League Event and increase your rank to get more Gold. - and other in-game Events. - Optional: Can be purchased from the Shop. - Mainly used for searching and upgrading pets, to get extra passive effects for your character. Note that some pets will get a bonus upgrade when equipped with their specific costume characters. - Aim for Rank A or B Pets, and upgrade them to increase their proc rates. - Pets that negates, or give you SP when cursed. - or any pet you prefer using to enhance your play style. - Used for getting more Characters and other freebies. 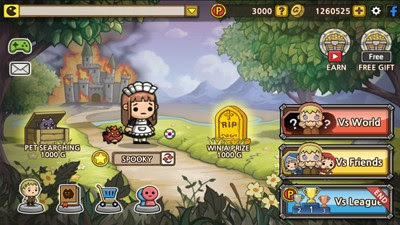 - Normally obtained by using the 1,000 Gold Character Gacha, or from the RIP Tombstone. - You can get them for free from after battle chest rewards too. Note that some characters will only drop from specific Battle Modes. - Daily Attendance Check (featured character) and other in-game Events. - Optional: Can be purchased using cash. - Yellow objects on the ground. - Using the "Run Skill" button will consume SP. As much as possible, keep your SP bar full to give you an easier time to chase or run away. - Open to get various traps and power-ups. If you currently have a Power-up, it might be best to trigger it while opening chests, because it will get overridden anyway. - If you are not the tagged one, it is best to open this whenever you get the chance to let your enemies have a tougher time running. This will also prolong the tagged one's HP drop duration since he can't chase well. - If you are the tagged one, you must open this chest especially when you are near. Leaving this one alone will give your enemies a chance to give you a harder time chasing. - When you stay inside bushes, your character will become invisible to others. Stay there and watch your enemies curse each other hehe. Do this from the start. - Your invisibility will break if they will also go inside adjacent bushes, or have the "Detect" power-up. - While hidden, try to grab an Invisbility power-up or Booster to easily tag other players, in-case someone manages to tag you. - This strategy will require you to keep your SP full, and open Chests to get defensive power-ups like HP Restore (main focus), Boosters, Traps, Invisibility, and many more. - Open Purple Chests too to get "Enemy HP Reduction" Power-ups! This will make the game much faster to compete. - Use your Boosters to run faster, and run towards other non-cursed players haha! - If it's 1 on 1, run towards those SP potions to keep your pace, and open chests whenever possible. - If the tagged one is chasing you, drop this to disrupt them. - You can also drop them underneath those chests or bushes to trap whoever tries to go near them. Be careful though because you can still get trapped by your own traps. - This is the main reason why you need to keep your SP bar full, to easily chase players. - Quickly gather SP Potions if you don't have enough, and open chests and purple chests if you get the chance. 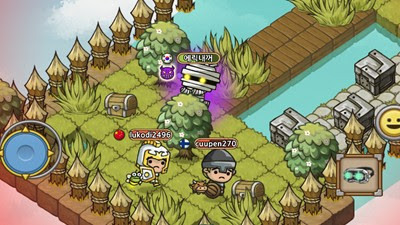 - Invisibility is one good power-up to easily tag another player. - Use Detect to reveal hiding players. - If possible, make your character's name short (all lower case). This is because longer and "catchy" names will get noticed more. - If your character is tagged, he or she will transform to a demon, undead, or ghost like character, so if possible, use characters that doesn't look much like a villain. - One example is Gunboy, he still looks like a normal guy when tagged.